Zambia’s Lower Zambezi National Park is an unspoiled wilderness in Africa. Unlike South Africa’s Kruger, Tanzania’s Serengeti, or South Luangwa in Zambia you can have a safari here without ever seeing another tourist. With an ever-present water source and its inaccessibility, the park has become a wildlife haven. Five minutes after landing in the Lower Zambezi we were face to face with a pride of lions devouring a kudu. Not only is the area teaming with wildlife, but the whole park is stunning. The mighty Zambezi snakes along the Southern edge of the park and to the North rises the towering Zambezi Escarpment. It feels as if it has been hidden away in time. In a game drive here visitors will cross a varying landscape from thick mopane forest, dazzling winterthorn trees, and huge acacias. What makes the park shine brighter is the wide range of safari activities on offer. You can paddle, walk, cruise, and drive in search of the parks bountiful game. Where is the Lower Zambezi National Park? 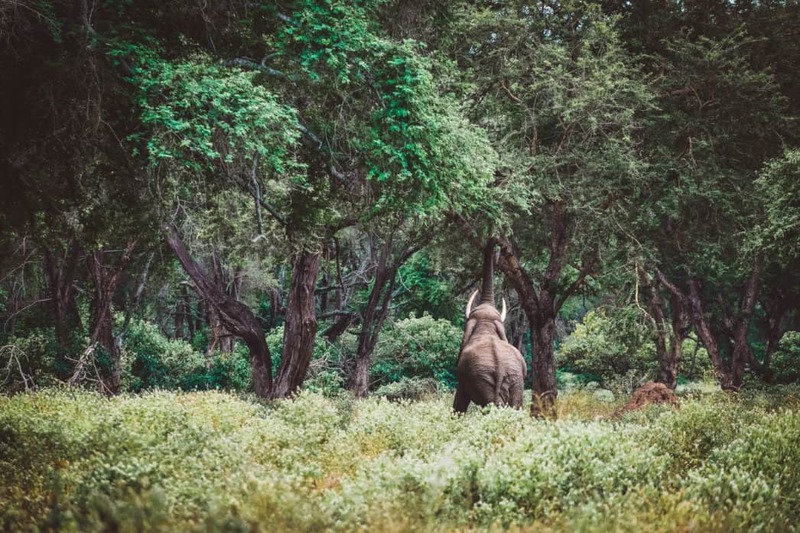 The Lower Zambezi National Park is located about 150 km east of Lusaka and shares a border with Mozambique to the east and Zimbabwe to the south. It is one of Zambia’s premier parks and boasts untouched wilderness. The park lies almost directly opposite Zimbabwe’s Mana Pools National Park and is only split by the mighty Zambezi River. How to get to Lower Zambezi National Park? The best way to get to the Lower Zambezi National Park is via Lusaka. Domestic flights fly in and out of the International Airport. It’s a short 30 minute bush flight away with Proflight to Jeki airstrip. Guests may also charter a plane into the Kulefu airstrip. 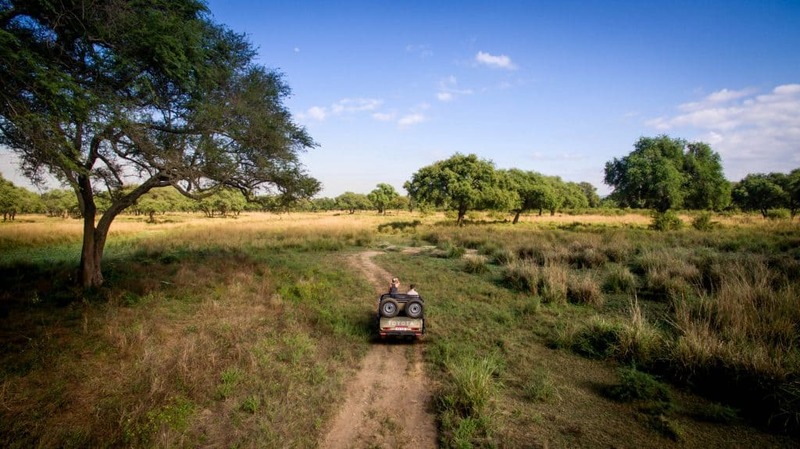 For the more adventurous you can self-drive into the Lower Zambezi National Park. From Chirundu the border between Zambia and Zimbabwe it takes about two hours by truck to reach the park gate. We suggest self-drivers to communicate with their lodges team in advanced. As most lodges can provide their knowledge to best reach them. We flew in by plane from Lusaka and exited via speedboat to Chirundu on our way to Mana Pools. 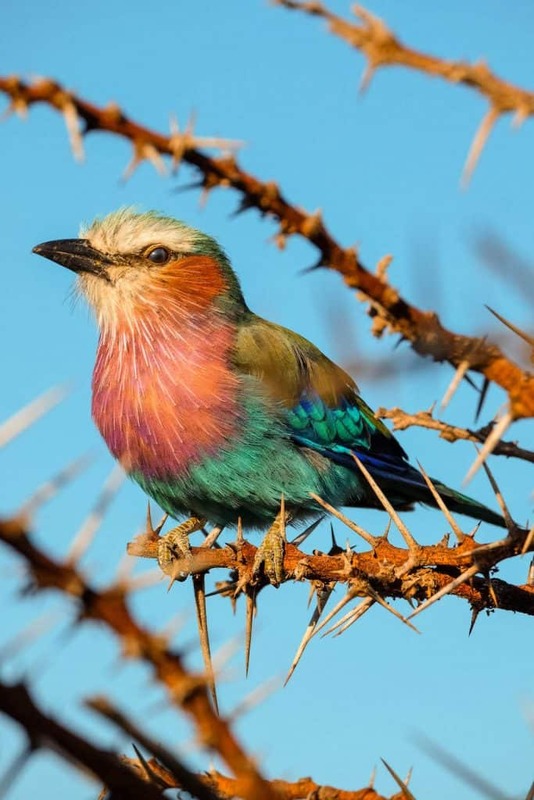 If you are combining this safari with Mana Pools you will have to get to the Chirundu border post to stamp out of Zambia and into Zimbabwe, and then travel to the entrance of Mana Pools National Park. The Lower Zambezi is one of the more affordable National Parks in Africa. Fees are good for 06:00 hours to 18:00 hours – not 24 hours! Old Mondoro is one of our favorite lodges in Africa. The lodge sits on a lovely point along the Zambezi River that is frequented by animals. It is intimate, basic, and surrounded by wilderness. The concept of Old Mondoro is simplistic. Although it is a permanent camp it embodies the feeling of a bush camp. Almost all the structures in camp remain open to the elements and it allows guests to be enveloped by the wild. Yet at the same time, modern luxuries are supplied. There are hot showers, comfortable beds, fantastic food, and power points to charge electronics. Those lucky enough to stay in here are treated to Africa at its finest. There are only four chalets at Old Mondoro and one family unit. The reed and canvas chalets all have an outdoor shower and bathtub. Afternoon siestas can be enjoyed from the comfortable shaded cushioned seating area in the front. The whole camp feels spacious, intimate and isolated. 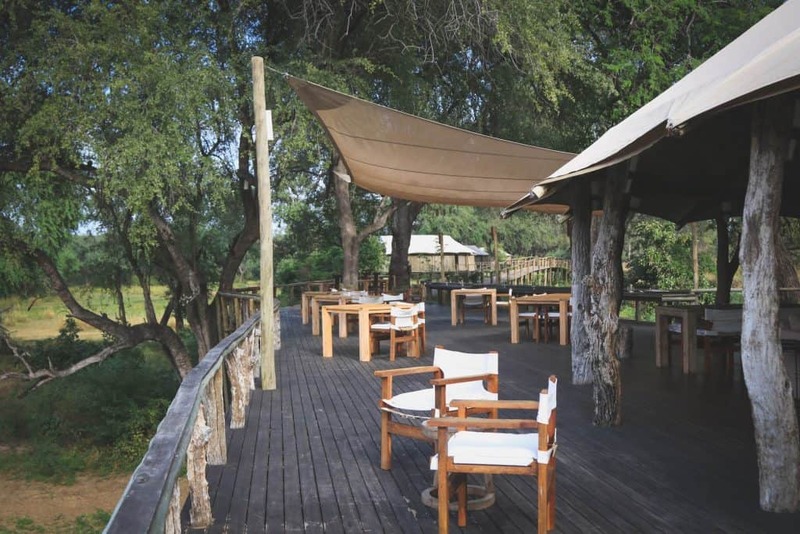 Its proximity to the river leads to regular visitors such as hippos, buffalo, waterbuck, and elephant. 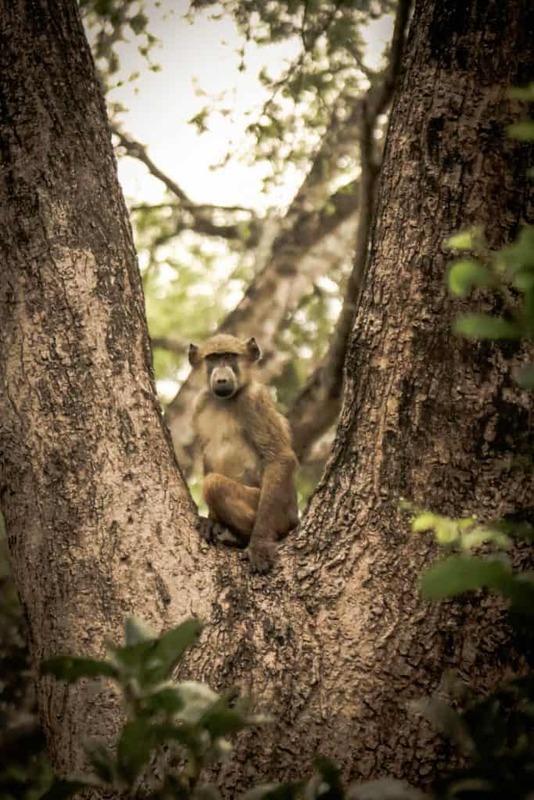 In the dry season, the camp teems with wildlife. Elephants are the most common visitors as they rummage around the underbrush in search of Ana tree pods. Our favorite aspect of Old Mondoro is the communal building. This is where guests enjoy breakfast, lunch, afternoon tea, and dinner. 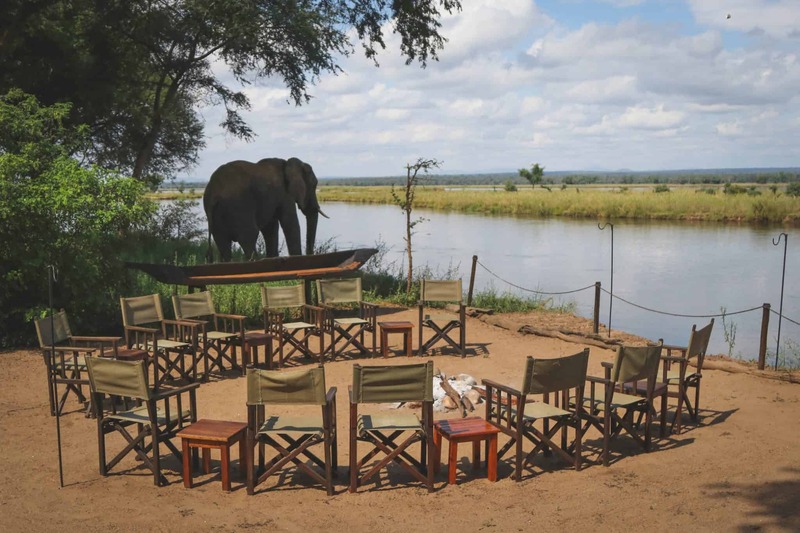 Every morning guests gather around a large fire pit for a classic bush breakfast. At night, dinner is served family style at a table next to the fire underneath the African night sky. Meal times at Old Mondoro are always an experience to look forward to. Breakfast is “Bush style.” Meaning there are fresh fruits, oatmeal, toast, and eggs to get you going. Lunches are a healthy and light mix of vegetarian, vegan, and meat bites while dinners are indulgent three-course meals. This camp is all we dream about when it comes to an authentic safari. In one of the most isolated locations of the park, small and intimate, and surrounded by the African wilderness. There is no better way to experience the bush than sitting in this camp. Chiawa Camp is Old Mondoro’s sister camp and run by the same family owners. The camp is located about an hour boat ride upstream from Old Mondoro. Chiawa doesn’t strive away from the luxury. With nine verandas or “tents” the camp is about double the size of Old Mondoro and despite the size, the lodge does not lose its bush feeling. Each veranda is thoughtfully designed to cater to African luxury. 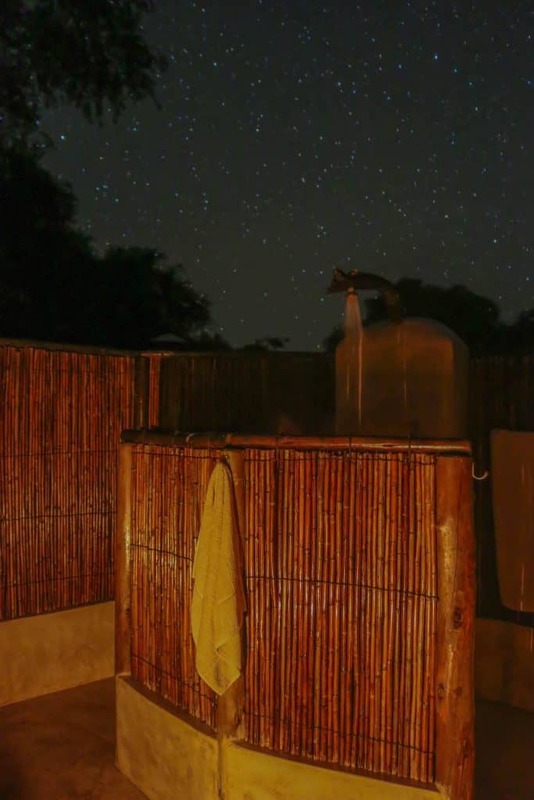 Vintage bathtubs, indoor and outdoor showers, a plethora of comfortable seating, and even internet for those that wish to stay connected on safari. The king-sized beds are draped with mosquito nets and sure to offer guests a good nights sleep. The main lodge features a second story viewing terrace and a full bar. However, some of the unique features of the camp are two well-placed hides, a swimming pool, and even a fitness center. Chiawa does a tremendous job ensuring that each guest is meticulously cared for and is comfortable. Breakfast, lunch, and dinner are scattered around the property and are a fresh blend of delicious Zambian and healthy cuisines. We enjoyed lunch on a river cruise one afternoon on the Zambezi River. We loved their signature Bedrock Dinner. 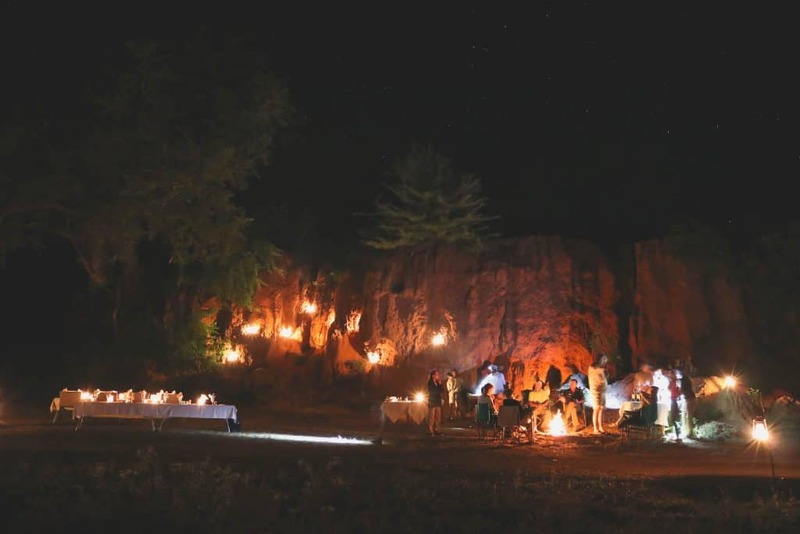 The Bedrock Dinner is set in a hidden location about 10 minutes from Chiawa under the stars and next to a huge boulder. Guests are surprised one evening arriving at the dinner location after a game drive. The night is a braai complete with drinks, fireside stories, and a delicious array of meats and veggies. Chiawa does this special dinner two times a week and I would highly recommend enjoying at least one dinner out in the bush. Both Old Mondoro and Chiawa have some of the best guides in the business. We found all the guides here to be professional, knowledgeable, and personable. 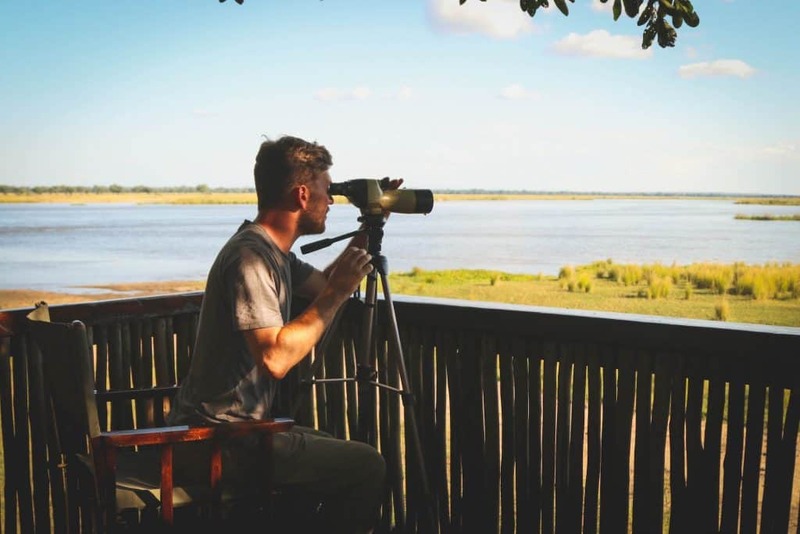 There is a wide selection of activities on offer at both camps including day and night game drives, walking safaris, canoe trips, fishing, and river safaris. With five days in the Lower Zambezi, it’s safe to say we enjoyed each of these activities to the fullest. 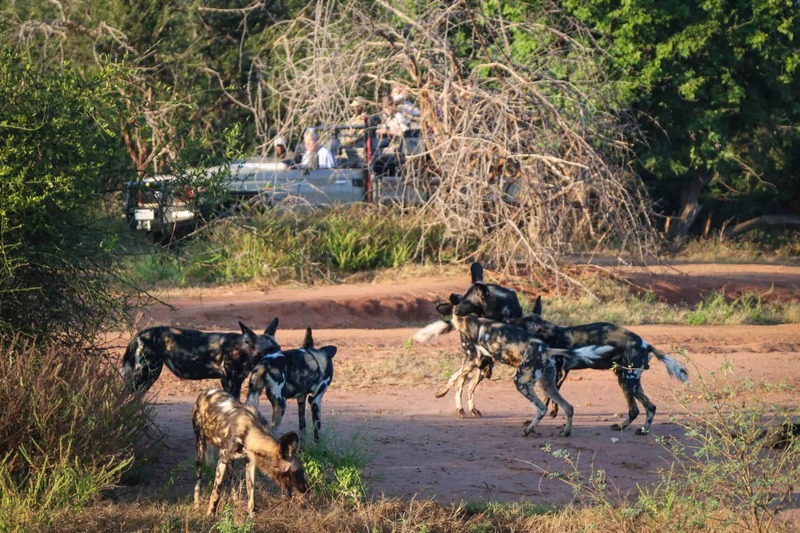 On one night game drive we spotted a pack of eight wild dogs and even a porcupine! I would suggest anyone coming to the Lower Zambezi to try out both camps. Old Mondoro is a lodge that is more down to earth, tucked away into the African wilderness and hidden away from time. Chiawa is the luxury set in the heart of the African bush. Another camp that is located far away from the modern world, but still on the banks of the Zambezi is Anabezi on the lower end of the park. The name comes from the Ana Tree, which can be found all along the property. 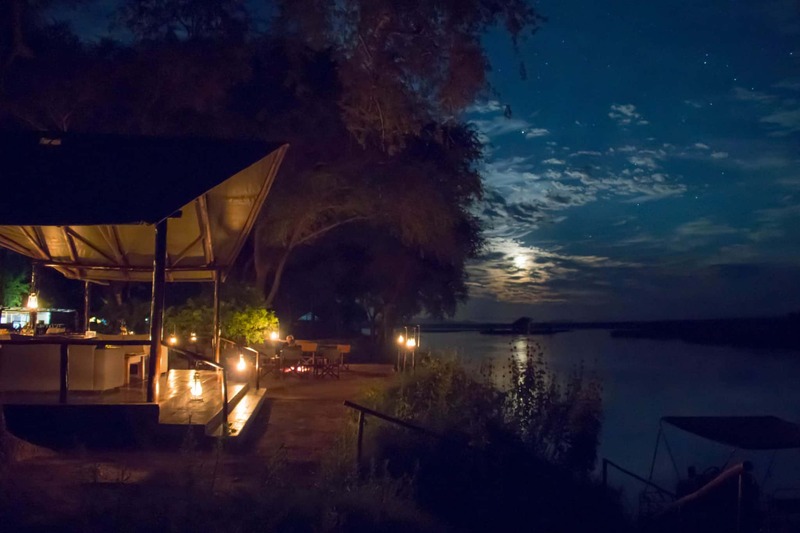 Anabezi is one of the largest camps in the Lower Zambezi but is easily one of the most luxurious. The camp caters to the modern traveler who still wants to get lost in the Zambian Bush. There are 12 spacious tents at Anabezi, two main lodges and bars, and two main pools. We were in for a surprise when we stepped into our tent at Anabezi as this is perhaps one of the biggest tents we have stayed in Africa. 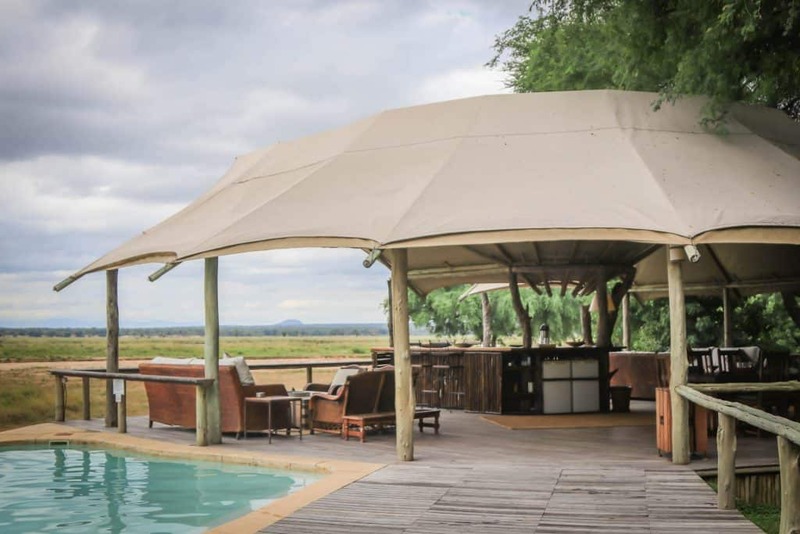 Each tent features two twin or double beds, an indoor and outdoor bathroom, indoor and outdoor lounge area, as well as a plunge pool on a raised deck overlooking the Mushika River flood plain. The deck and plunge pool come in good use during the dry season when temperatures soar and the yellow ana pods fall from the trees attracting all sorts of life. After we found our way around our new house at Anabezi we made our way for sundowner drinks and dinner at the main lodge. The main lodge has been built around the natural surrounding landscapes and is the ideal place to relax while catching up with other safari goers. The main lodge is where all meals are served, and staying true to Zambian fashion we enjoyed an excellent three-course meal here under the stars but next to the fire. 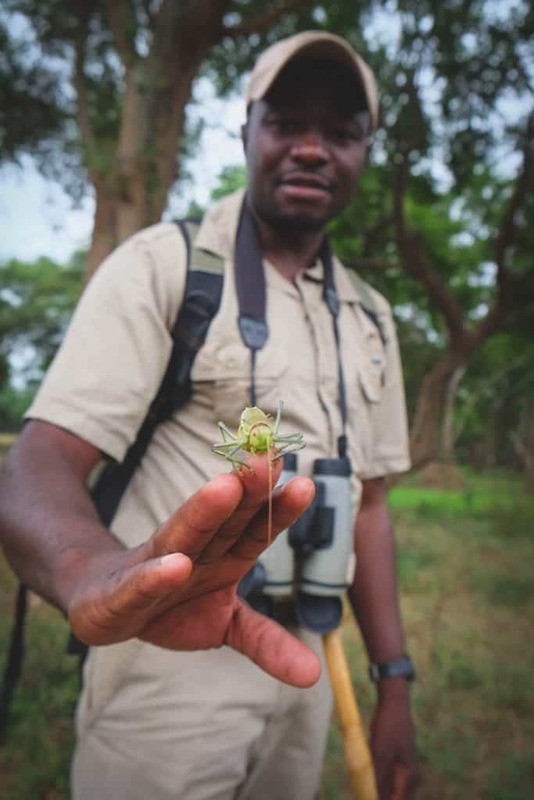 Unfortunately, we only had enough time to go out on one game drive with our Anabezi guide, Mwila. However, because the Lower Zambezi is so wonderful we were able to spot feeding lions, a herd of elephants, and mating Impala all during the safari. Most lodges close during the rainy season (December to March) since the roads become impassable. They usually open back up from April to November. 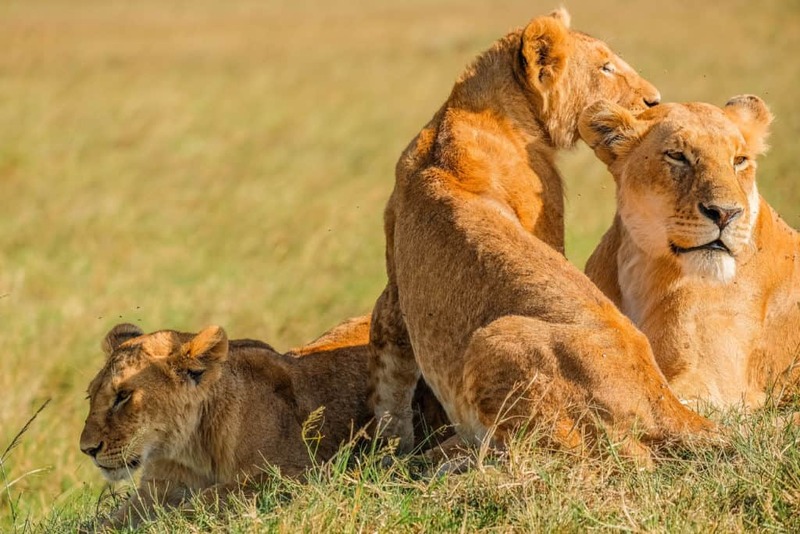 The dry season is from June to October and this is when you will have the best game viewing as the bush has dried up and you can find the wildlife near the river. We visited in May and still had the chance to see wild dogs, plenty of elephants, hippo, buffalo, and lions. 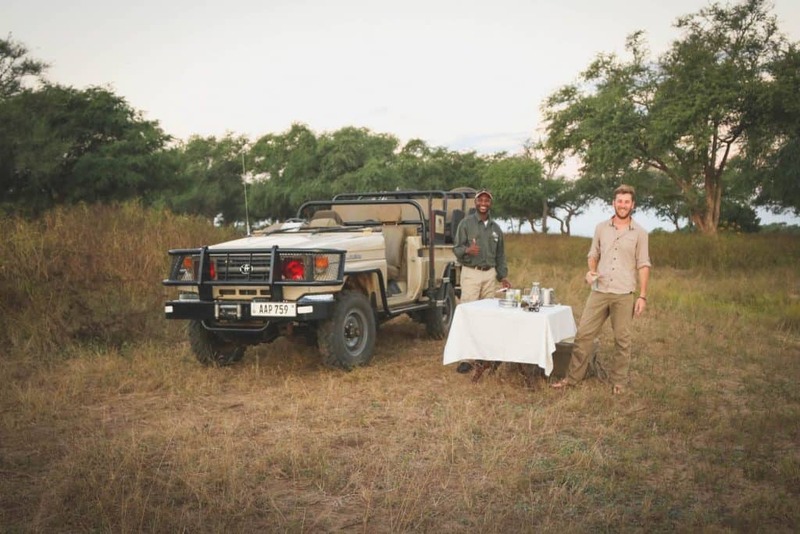 Day and night game drives: Obviously in an African national park game drives are the main draw, but what we loved about the Lower Zambezi was the freedom to go on night game drives. Night game drives are not allowed in many national parks in Africa, but we love them! They allow guests to have the chance to see some of the nocturnal animals. Hyenas, porcupines, aardvarks, genets, and pangolins are among some of the creatures you may be able to spot at night. 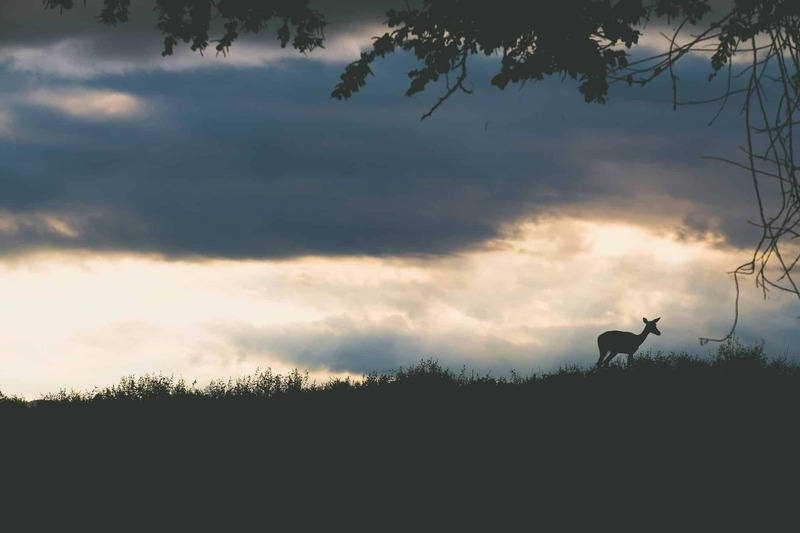 Plus, with night game drives you don’t have to hurry back to your lodge after sunset! Canoeing: With most lodging options being situated right on the Zambezi River it’s little wonder why canoeing is an option. It’s great to get out on the water without engines running and feeling the thrill of being so close to hippos and crocs! Walking Safaris: Zambia is one of the best places in Africa to go on a walking safari. Along with Zimbabwe, their guides are among some of the best in Africa. 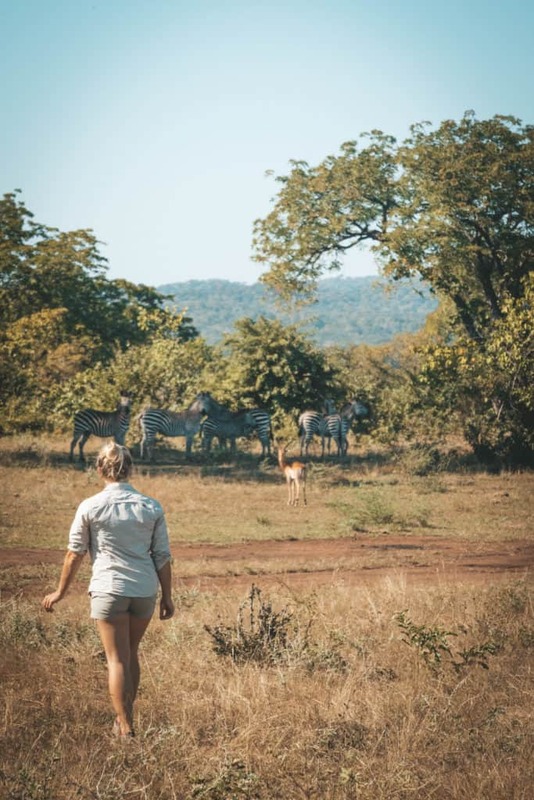 To get to go on a walking safari in the Lower Zambezi is an incredible experience. We were able to get up close to elephants on foot while also learning about the plants, droppings, and insects that contribute to the eco system. 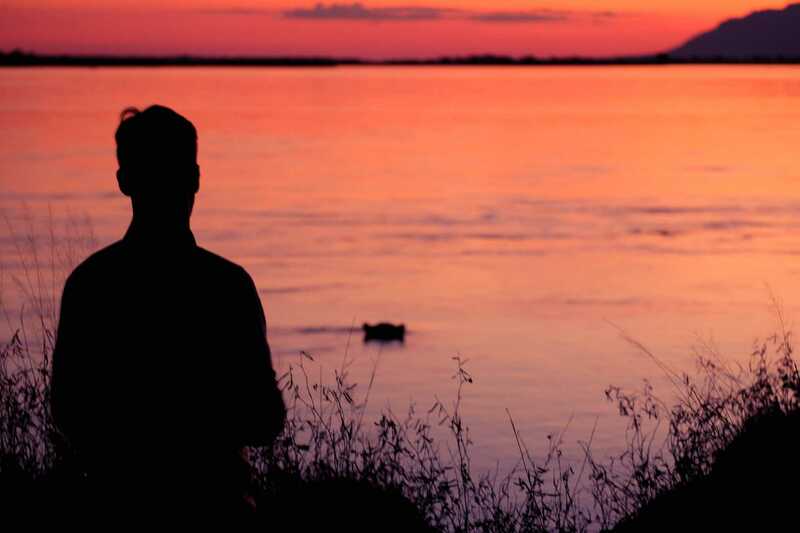 River Safaris: Sundowner cruises are among my favorite activities to do in Africa. I love being able to have a smooth ride while sipping a gin and tonic listening to the hippos grunt at me. River cruises on the Zambezi are a popular activity to do here. Fishing: From late August to November, the Tiger fishing on the Zambezi is exceptional, although fish can be caught throughout the year. There is a strict catch and release policy for any fishing in order to minimize our environmental footprint. What’s a typical day on safari in the Lower Zambezi like? The capital of Zambia is Lusaka and is one of the main entrance points into the country. We flew to Lusaka from Nairobi and stayed at the beautiful Latitude 15 hotel before we made way for our safari. The main currency in Zambia is the Zambian Kwacha. 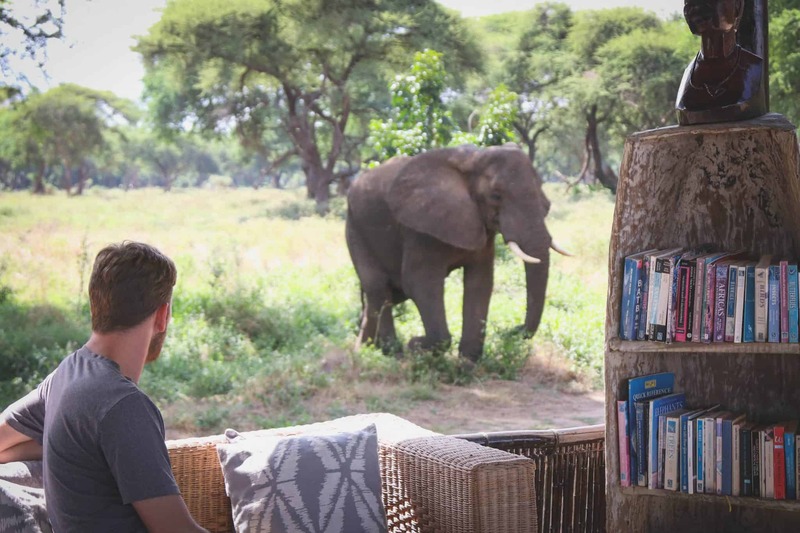 Although USD is acceptable at most safari lodges. Many places in Zambia do not accept credit card. Malaria is not prevalent in the Lower Zambezi National Park. However, for piece of mind, you can take the proper malaria prophylaxis to help protect yourself. You can read our personal accounts on malaria here. Check to see if you need a visa to enter Zambia. Americans can expect to pay $50 for a 30-day visa, or if traveling to Zambia and Zimbabwe they can get a Uni-visa for $50 good for both countries for 30 days. Visas can usually be purchased on arrival although you do have the option to get an e-visa beforehand. We never travel without travel insurance with World Nomads. We ALWAYS travel with travel insurance. Natasha is a bit of a worry wart and would rather stay safe than sorry. World Nomads offers incredible flexible and great plans!